Illuminations of Light LIVE! Presents….The Legendary Norman Shine! Greetings and Salutations One and All! I hope the week has been a blessing for you all and that you enjoyed the energies that came in with the 10 10 10! Things are definitely accelerating. It’s been amazing to watch! This week on the show we have a legend joining us! Norman Shine! Internationally acclaimed numerologist and astrologer. This man will blow you away! He’s simply brilliant! You are going to want to have a pen and paper when you listen to this interview because he is gonna just come with it and give you some amazing techniques and answers. So let’s find out a bit more about this amazing man! Norman Shine is an internationally acclaimed author for his books and techniques using astrology and numerology and magik boxes to determine all sorts of things in life! 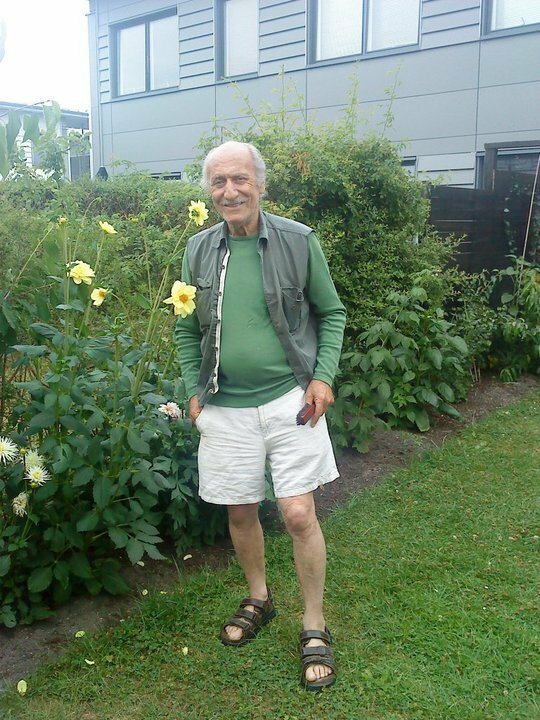 He is currently in Denmark and doing very well in his garden as you can see from the picture above. His books are, ” Numerology: Your Character and Future Revealed in Numbers” and ” Numerology: Reveal Your True Character and Destiny with Numbers” and also ” THE INSTANT NUMEROLOGIST” His unique technique is still studied today and we are honored to have him on the show! Norman Shine has been a consultant numerologist and astrologer more than 15 years, following a distinguished academic career. He is much in demand as a public lecturer and as a radio and television broadcaster on both subjects, and has written successful books on numerology. He lives in Copenhagen, Denmark. Tell me your name, and I will tell you who you are. Give me your date of birth, and I will show you your future. The hidden meaning and power of numbers has been studied since ancient times. Just as astrologers use the planets and signs of the zodiac to explore relationships and predict the future, so do numerologists use numbers. 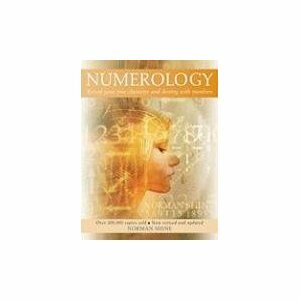 Now, by following numerologist Norman Shine’s clearly illustrated, easy-to-understand system, anyone can access and use the energy and power of numbers. Each letter of the alphabet has numerical value, and each number is an energy source. It is the way that these energies combine and relate to one another that determines how and why you behave the way you do; by comparing your numbers with another person’s, you can explore your relationship to them. Plot the numbers of your birthday, and you can see the direction of your future. Norman Shine, world renowned and arguably Europe’s best Numerologist launched his latest work in India. The book titled “The Divinity of Numbers: The SAlence of Numerology” published by Thapovanam Publishers was launched on Tuesday at Oxford Bookstore(Churchgate) in Mumbai. The book gives an in depth analysis and clears myths like “Changing names can change fortunes” among others that surround numerology in India. Says Raman Chaudhuri , Vice President, Thapovanam Publishers, “The book also has a interactive CD, which acts like personal numerologist for the reader. The reader can feed in his name and birthday date and get an in-depth analysis of his character and other relevant information like the important years in his life” . Norman Shine’s association with India and its culture is deep rooted. An ardent devotee of Shree Satya Sai Baba , Norman is well versed in the symbolism of Indian culture: he firmly believes that the Vedas are the core essence of Numerology. Says Norman, “We are all here in this world for the sole purpose of resolving our karmas”. Norman Shine has been a consultant numerologist and astrologer for more than 15 years, following a distinguished academic career. Norman Shine is without doubt the only numerologist in Scandinavia and among a very few in Europe to be known worldwide, where there are many astrologers, however only a handful of Numerologists. He is much in demand as a public lecturer and as a radio and television broadcaster on both subjects, and has written successful books on numerology. 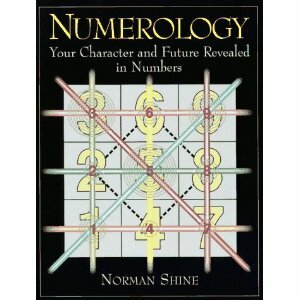 Norman Shine virtually introduced Numerology to Denmark in the Early 1980’s. Through his books, written both in the Scandinavian languages and in English, are read widely throughout the world. His contribution as the only Numerologist in the “World Atlas of Divination”, a highly prestigious compendium of all the divination systems employed throughout the world, is evidence of the supreme position he enjoys globally within Numerology. Norman Shine is a lecturer on Numerology in the University of the Shankara Acharya at Kanchi and the University of Copenhagen. Norman Shine’s book named “Numerology: Your Character and Future Revealed in Numbers” (1995) has sold over 5.5 lakh copies worldwide and has been translated to German, Spanish, Portuguese, Serbo-Croat, Czech, Hungarian, Polish. Norman Shine plans to start a School of Numerology called “The Shine Institute of Numerology” in Mumbai, in the coming year. I do hope that you all will join us! If you submit your name and date and time and place of birth, we might be able to get Norman to evaluate them at illuminationsoflight@yahoo.com!